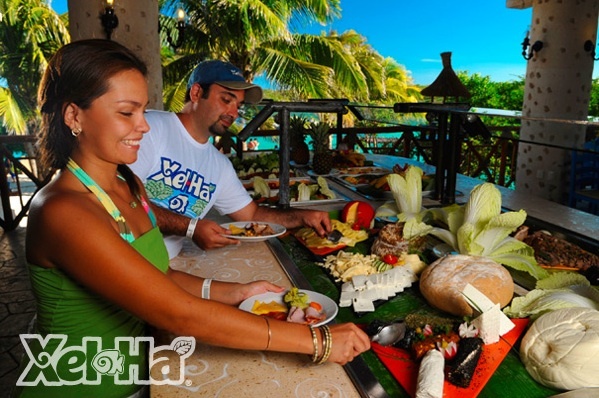 Welcome to Xel Ha Park! 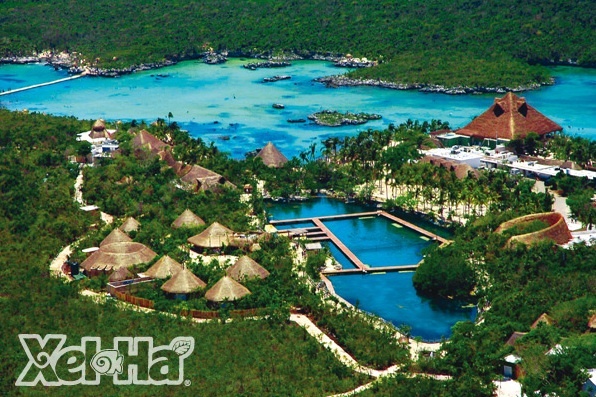 Xel Ha is an eco-archaeological site that arouse with the Maya Civilization settled on the eastern coastline of the State of Quintana Roo, Mexico. 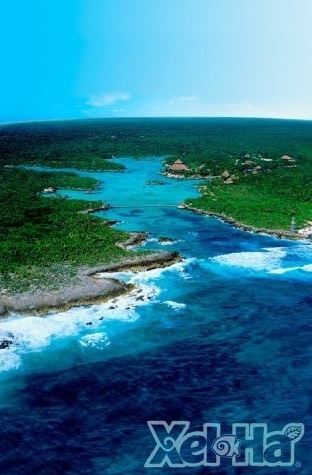 It is located south of Playa del Carmen in the called Riviera Maya. The name is the combination of the roots xel that means ”spring” and ha’ that means ”water”. Xel Ha is the largest natural open sea aquarium in the world, which offers a myriad of land and water activities, ecological attractions, world-class restaurants, and countless more unimaginable experiences, a place to enjoy the biological parade of the Riviera Maya. Swim with dolphins- Xel Ha Natural Park presents two dolphin swim programs: Interax, where you know these wonderful creatures through contact and games, and Primax, a longer program that features several additional activities including “foot-foot push. 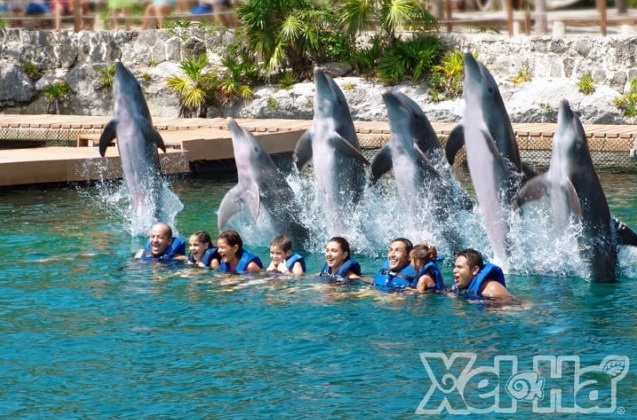 Trainers at Xel Ha Park provide a safe environment for dolphins and visitors. 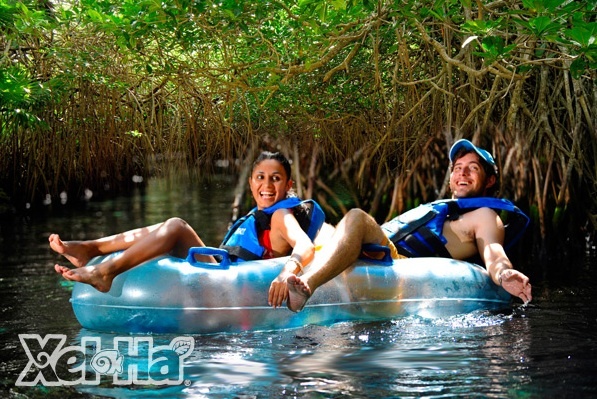 Sea Treak- The Sea Trek in Xel Ha Park is so easy. With the aid of a technologically advanced helmet, Sea trek requires no previous training, diving or otherwise. On the other hand, experts will be close at hand at all times during the activities, aiding every need and satisfying every curiosity concerning the magical, aquatic world. Snuba- Xel Ha Natural Park offers all the liberty and ease of underwater breathing in one of the most wonderful scenarios imaginable with a sophisticated combination of scuba and snorkel equipment to admire the myriad of fish and marine creatures. Nothing more than snorkeling experience is needed. 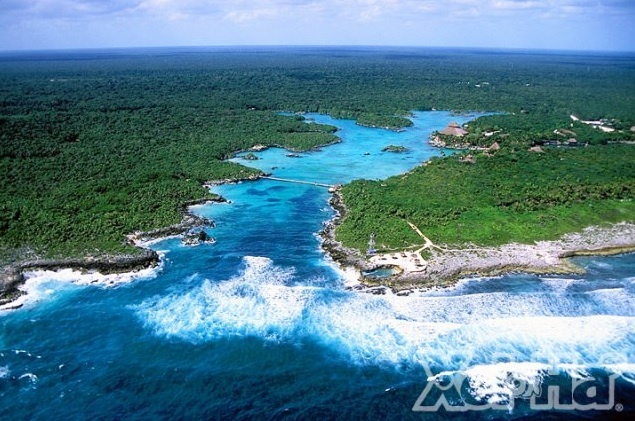 Kayaks- The magnificent scenery of Xel Ha Park is great to live a lifetime adventure on a kayak. Vessels are available for individual and twin navigation. No experience is necessary, and there is no additional fee. The only condition is strapping on a life jacket and paddling with enthusiasm to explore the mysteries of an eon-aged monument. Snorkel- Xe Ha Park is the world’s most beautiful Natural Aquarium, with no walls and no glass. It is a unique place for underwater exploration. 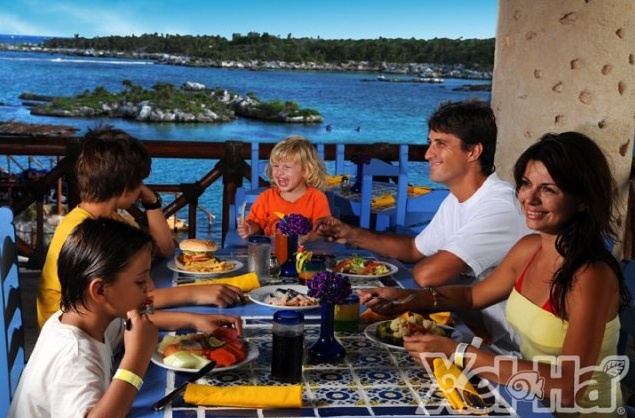 Xel Ha Natural Park houses over 70 recorded species of different kind of fish. 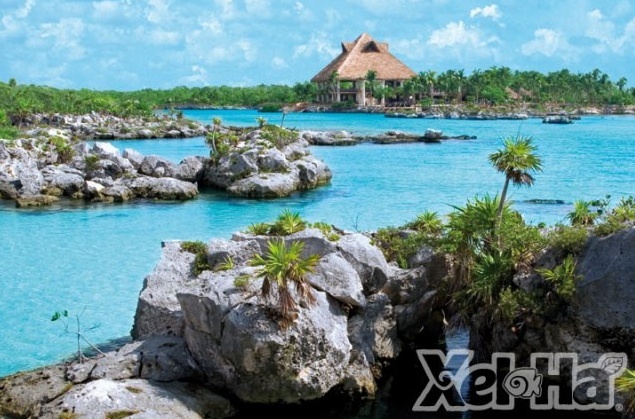 The endangered queen conch inhabits Xel Ha Park under careful monitoring and protection. Some temporary visitors to the inlet include sea turtles and manatees. 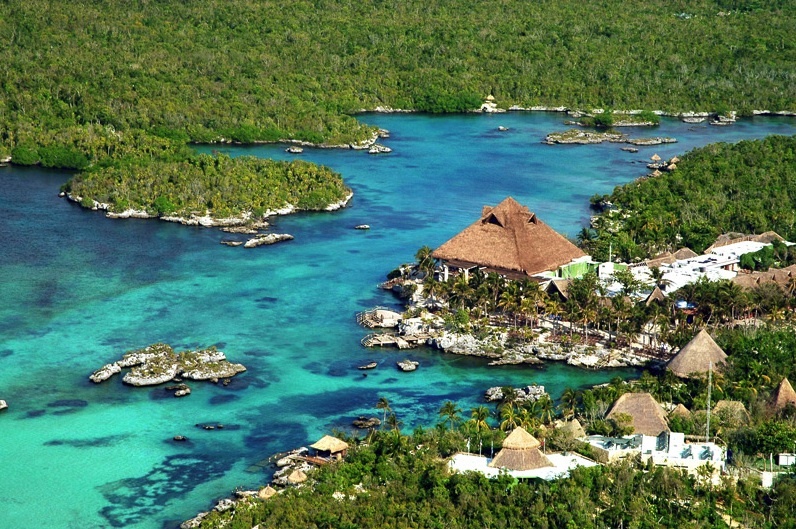 Xel Ha Park has six snorkel equipment distribution centers located around the inlet, and life-jackets at almost every pier. There is no cost for these services. Snorkeling School- Xel Ha Natural Park offers a Snorkeling School teaching techniques, responsibility, and use of gear. If you are a fancy learner, you will be at the most beautiful classroom of the world. Dolphin Treak- With the Dephinus Trek program, into the crystalline waters of Xel Ha Park you can admire the underwater world with the most amazing creatures, dolphins. You will be able to witness every one of their movements being immersed in the water with them.